The country's 50-plus state wildlife action plans represent a collective vision for the future of conservation in the United States. For the first time, states and American territories have had the opportunity to assess the full range of challenges and actions vital to keeping wildlife from becoming endangered. The impetus for the effort comes from the Teaming with Wildlife coalition, representing more than 3,500 agencies, conservation groups, and businesses who for more than a decade have tirelessly championed the cause for funding to keep wildlife from becoming endangered. The coalition’s work led to passage of the Wildlife Conservation and Restoration Program and the State Wildlife Grants Program in 2000. As a requirement of these programs, Congress asked each state wildlife agency to develop a “comprehensive wildlife conservation strategy” -- a wildlife action plan -- that evaluates wildlife conservation needs and outlines the necessary action steps. While the wildlife action plans share a common framework of eight required elements, they are tailored to reflect each state’s unique wildlife, habitat, and conservation needs. 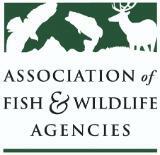 States worked closely through the Association of Fish and Wildlife Agencies and the U.S. Fish and Wildlife Service on the development of the wildlife action plans. By combining the best scientific information available with extensive public participation, states developed effective action plans that will work for wildlife and for people. The wildlife action plans focus on practical, proactive measures to conserve and restore important lands and waters, curb establishment of invasive species and address other pressing conservation needs. The tools for conservation employed in the action plans emphasize incentives, partnerships and collaborative management, rather than top-down regulations. The action plans also stress the importance of gaining the knowledge necessary to effectively conserve a broad range of wildlife species. In addition, every state wildlife action plan incorporates continued monitoring and evaluation in order to measure the success of the proposed actions in conserving wildlife. Taken as a whole, the wildlife action plans present a national action agenda for the conservation of wildlife species that is focused on those that have not benefited from conservation attention due to lack of dedicated funding. The results are already apparent in improved relationships at all levels -- across public and private ownerships, across state boundaries, and in the growing list of new groups and individuals working together for wildlife. Taking the timely next steps to adequately fund and implement the plans is crucial in order to achieve the goal of preventing wildlife from becoming endangered.